Double layer ten group of independent probe, higher sensitivity, better stability. 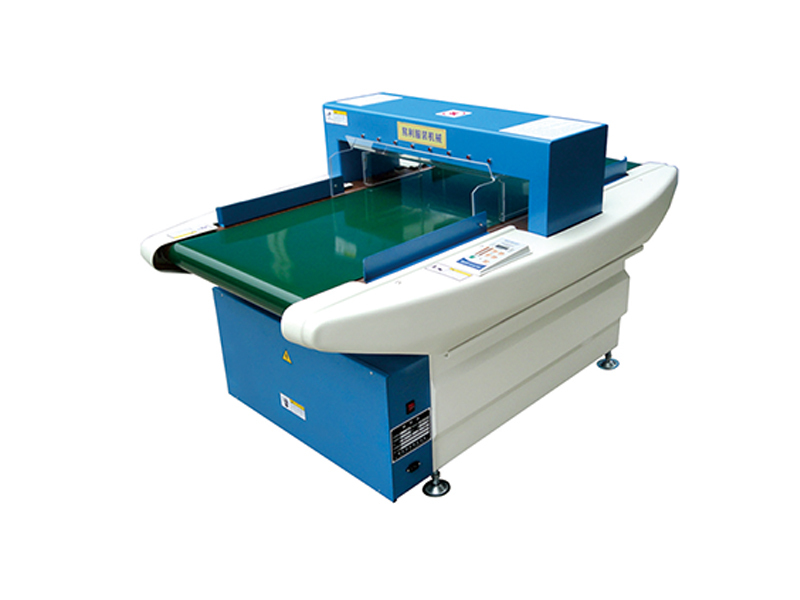 This machine has LED panel, easy to operate; intelligent counter to check the goods of the qualified goods automatic counting; High precision ten segment LED display. 4.LED 灵敏度设定显示， 实时感应度显示；主控制板采用进口元件；进口无毒 级 输送带. LED sensitivity setting display, real-time sensing display; the main control board uses imported components; import non-toxic conveyor belt. When the metal is detected, the machine alarm, the conveyor belt stops and returns. High performance switching power supply, voltage adaptability. The detection of sewn products in the needle and broken metal. 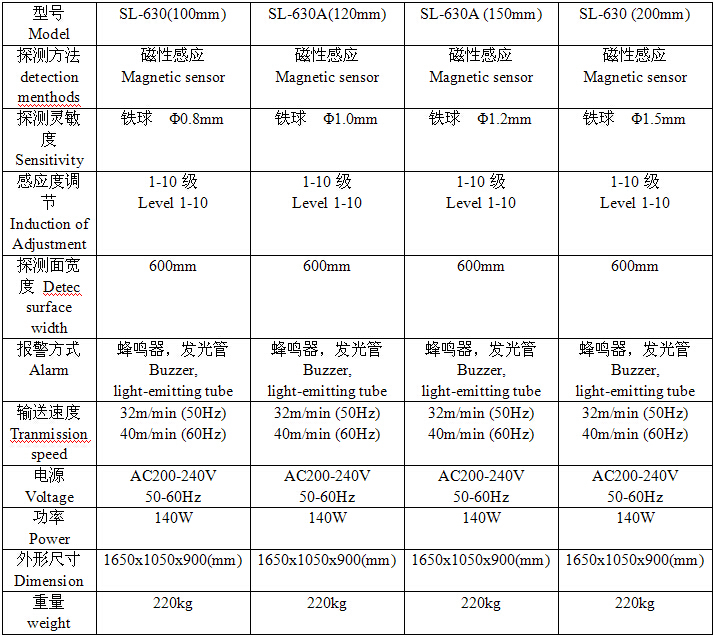 The detection of ferromagnetic impurities contained in the food, drug. Iron scraps - detection of chemical raw materials, rubber and paper products. The detection of metal impurities contained in non iron materials.